Growing up in a country which has lived long successive wars for more than three decades makes Peace and Peacemaking my very first priority. Civil wars, fighting, explosions, extremist groups, segregation and destructed social structures, displaced people, frightening number of widows, orphans, and immigrants, polluted environment, declined agricultural lands, poverty, hunger, collapsed economies, and almost all other serious problems, are the consequences of long years of unjustified successive wars. I believe that it is time for everyone, for each of us, to take the responsibility of rebuilding a sustainable peacefulness in this world. As an Iraqi architect, faculty, and researcher within the field of architecture, I had a dream, a small dream: for architects and architecture to promote the process of peacemaking, not only in my country but in all conflict zones all over the world. The Journey was not easy at all. The dream had started to fade behind the rapidly rising conflicts in Baghdad, especially following the civil war of 2006, until the moment when a light started to emerge again at the end of the tunnel. I was blessed with a scholarship to study a PhD abroad. The dream came alive: to study at a University in the United States was the key to my goal. Being blessed again, I was accepted to study at the University of Cincinnati and that was for me the very first step to bring my dream into reality. One of the requirements for the admission of international students was a language certificate in order to improve their language skills and prepare them for the academic life of University. Initially, learning English was simply a requirement I had to fulfill in order to start my journey at the university. I never expected that my journey would actually begin earlier, from ELS, where I learned the real meanings of living in peacefulness. The experience of learning English itself turned out to be my very first, crucial step towards achieving my dream; that is to contribute to the process of peacemaking in this world. From the first day, I discovered that ELS is not just a school, it is a new home and the ELS team is our new family. In that small, safe world where I was learning English, I was receiving so much more than I ever expected. Every day I had a new experience. From inside our warm, safe, small classes, I travelled all over the world through our class presentations and discussions about our countries and cultures. I can’t count how many times we laughed together or how many times my eyes filled with tears. I can’t forget when we were asked by our teacher in SSP class about what we miss the most from our home countries, and how we all answered the same: family and food. During that class I kept listening to my young Omani friend trying his best in English to express how much he was missing his mother and how beautiful he sees her; I was feeling the same. In our Reading and Writing class, our teacher asked us to write about unforgettable moments in our life and my Chinese friend shared with us his experience with his parents when he was a little child. He used to see a homeless person with his child begging on the street every day on their way to school. His parents taught him to never to look down on that homeless child; instead, he should help him because a homeless child is also a human being and we all need to help each other. I also remember my Korean friend when he was trying to explain his understanding of religion; he sees religion as a way to appreciate every beautiful blessing around us on this earth, the sun, the rivers and the seas, the moon surrounded by the stars in the night, the mountains, the colorful flowers, and the birds flying high in the sky, and he feels that there should be a great creator behind all of this beauty. Every time that I was blessed to listen to my friends, I asked myself the same question: how would I be able to communicate with all these wonderful people and have this rich experience and live this peacefulness without sharing English as a common language between us? The Experience of learning English at ELS gave me the opportunity to learn about cultures, art, history, family traditions, food, and so many other things about different countries. My horizons expanded. I learned how to accept different points of view as new ways of seeing the whole life. But above all, it is by learning English that I started to build connections with people from different cultures and nations. I discovered the beauty of diversity and I realized that we are all, from all over the world, just a big family. We have the same feelings; the only difference is that we express them in different languages. The first is the crucial role of building common grounds between different groups in order to promote a more peaceful and harmonious future for them.The experience of learning English at ELS is an example for the viability of this point. The process of learning English, in one of its deep structures, was an act of building common grounds between people coming from different cultures and nations with totally different native languages. Without English as a common ground language I would not be able to communicate with my Chinese, Korean, Indian and my all other amazing friends from all over the world. The second point is the emphasis on producing productive connections. It is essential to the process of creating more peaceful environments to get others with all of their differences to establish new inclusive inter-relational systems. Here comes the importance, if not the urgency, of learning other languages as it enhances communication and builds productive connections between people from different cultures and nations. Building such productive connections can produce a new means of expression, or a new realization. Peacefulness, based on this point, could be the new realization in this world. Lastly, defining the process of peace building distinguishes negative from positive peace. Negative peace is an act that halts the direct violence, but it does not end the tension, while positive peace is a process of life enhancement. Positive peace is not a direct act and it is not the absence of violence; it is, rather, a process of creative transformation towards achievement of more sustainable peaceful environments. Building common grounds and producing productive connections are crucial for this creative transformation. Learning other languages helps end separation and opens the doors for creating more communicative and dialogic spaces, wherein multiple points of view benefit from each other’s presence, without necessarily resolving themselves or negating each other. Within such spaces, transformation towards achieving sustainable peacefulness would be possible. It may seem that the dream of peacemaking in a world full of meaningless wars and war consequences is almost impossible, but sharing my life journey until this moment might be an inspiration. John Paul Lederach, Building Peace: Sustainable Reconciliation in Divided Societies (Washington D.C.: United States Insyitute of Peace Press, 1997), 73-87. John Wilmerding, “The Theory of Active Peace,” Peace and Collaborative Development Network. Colombia University, January 4, 2009, http://www.internationalpeaceandconflict.org/forum/topics/the-theory-of-active-peace. Graham Livesey, “Assemblage” in The Deleuze Dictionary, ed. Adrian Parr (Edinburg: Edinburg University Press, 2010), 18-19. Johan Galtung, Peace By Peaceful Means: Peace and Conflict, Development and Civilization (Oslo: International Peace Research Institute, 1996), 9-23. Dongsei Kim, “Towards A Dialogic Peace in the Demilitarized Zone,” Architecture of peace 40, no. 2 (2014): 40-43. Time passed. Despite all the difficulties, by 2002, I was not only the first architect woman in my family but also the first woman with a Master’s degree in Architecture. Soon after, by 2003, the Iraq War was announced; my mother left this world, but her dream stayed with me and became mine. In 2003, my first day as a faculty in the same university I graduated from, was the same first day of official work after the military operation in Iraq. Everything in Baghdad including my University turned into destruction. The situation rapidly deteriorated that by 2006 a civil war had broken out; there was bombing, blocked roads, fighting everywhere. Life in Baghdad had almost reached a zero point; many professors left Iraq, students couldn’t attend classes. All of these difficult circumstances were challenges that pushed me to identify a clear goal for my life: to have a positive role in rebuilding this society. In December 2009, I walked toward the stage among the Arab Ministers of Housing and Construction at the Arab League in Cairo while my name was announced, to receive the Architect Award of the Arab World as a first woman winner of the award. With every step I saw all the faces that have supported me in my long journey, teachers, real friends, and my family especially my parents. By March 2013, my mother’s impossible dream came true. I started learning English at ELS preparing for my next academic life in the University of Cincinnati, United States Of America. By 2014, I was the winner of Tamayouz, Excellence Award in Architecture, for the rising star category, announced by Angela Brady; the former president of the Royal Institute of British Architects, RIBA. My journey has not yet ended; as an architect and scholar, I am working on the possibility of introducing the concept of architecture of peace. As a citizen of the global society I am calling for the learning other languages for the role of multilingualism in building connections and common grounds between different cultures and nations, a role which is crucial to the process of rebuilding positive sustainable peacefulness in our global society. I am fully aware that this is a huge dream and maybe difficult to achieve. But I believe that if peace is our desire, and if each of us take the responsibility and if we all stand together to achieve it, then impossible itself would be the impossible. Peace can become the new realization making this world a better place for living not only for us but also for the next generations to come and the role of multilingualism can help us achieve this dream. Love still exists deep in our hearts; all we need is to bridge the differences together and bring the barriers down. Galtung, Johan. Peace By Peaceful Means: Peace and Conflict, Development and Civilization. Oslo: International Peace Research Institute, 1996. Kim, Dongsei. “Towards A Dialogic Peace in the Demilitarized Zone,” Architecture of peace 40, no. 2 (2014): 40. Lederach, John Paul. Building Peace: Sustainable Reconciliation in Divided Societies. Washington D.C.: United States Institute of Peace Press, 1997. P: 73-87. Livesey, Graham. “Assemblage” in The Deleuze Dictionary, edited by Adrian Parr, 18-19. Edinburg: Edinburg University Press, 2010. A great deal, all positive, has been taking place at the Academic Credentials Evaluation Institute (ACEI). 2015 was yet another productive year for ACEI. We celebrated our 21st birthday and introduced our 7 business standard processing time; the fastest in the country. We also rolled out a monthly webinar series on topics related to Diploma Mills, the Future of Higher Education and Emergence of Online Education, as well as country specific updates. Please sign up here so you can stay abreast of upcoming webinars. We demonstrated our commitment to the field of international education through our participation and attendance at various regional and national conferences such as AACRAO, NAFSA, AIEA, NAGAP, and SHRM, as session presenters and exhibitors showcasing our various services. In addition, we continued our contribution to the field on topics related to international education and world cultures through our weekly blog “Academic Exchange,” and our monthly newsletter, “The Report.” As proud Charter and Endorsed Members of the Association of International Credential Evaluators, we have been actively involved in the Association’s monthly Credential Forums and helping organize its first Annual Symposium on Standards to be held on March 23-24, 2015 in Phoenix, AZ. Thank you for following our blog in 2015. We look forward to providing you with more fun, thought provoking and insightful posts in 2016. Have a Happy and Wonderful Holiday Season! Thanksgiving is a special time to be thankful for great families, fortunate events, caring friends, amazing communities, and all the gifts of life we’re all lucky to have. At ACEI, we’re especially thankful for all the wonderful friends, coworkers, customers, clients, and readers like you. We have invited members of the ACEI team to share with you their personal messages of thanks. Brian Aguilar (Administrative Assistant): This year (like every year) has been an emotional roller-coaster. I’m thankful for all the changes, which at first seem scary, but always have great outcomes. I’m thankful for all the adventures, the rough patches, the ups and downs — that have contributed to my personal development. I’m thankful for all the new people that have come in to my life, and for those that continue to be a part of it. I’m thankful for all the words of wisdom, the support, and the love I receive from everyone around me each and every day. Mary Baxton (Senior Credential Evaluator): Now retired (from CSUN), I reflect on my career in higher/ international education and cutting my teeth on credential evaluations. It is a passion eagerly continued thanks to working with the ACEI team. Scott Brown (Client Relations Officer): This has been good year and I’m thankful for good health, my friends and family and for being a part of ACEI. It is a joy corresponding with our international applicants and I wish you all a very happy Thanksgiving! Sanjin Gacina (Senior Credential Evaluator): I am thankful to be part of the ACEI family and to be surrounded by a special group of exceptional people. I am also thankful for the good fortune of a peaceful and free existence. Clayton Johans-Winston (Client Relations Officer): I am so thankful and grateful to have been working for this incredible company, ACEI. Katherine Kang (Senior Credential Evaluator): I am thankful for having my family with me. My son’s birthday is near Thanksgiving and due to his father’s career, he wasn’t able to celebrate with us every year. This year, all three of us were together! Nora S. Khachetourians (Director: Evaluation & Translation Departments): There are so many things to be thankful about: a wonderful family, loving grandchildren, good health and keeping busy with work and people I love at ACEI. Alex Martinez (Client Relations Officer): I am grateful for spending another year with my family, good health and wish for world peace and love. Yolinisse Moreno (Director of Communications): This year and every year I am very thankful for my wonderful family, friends and colleagues. I feel very blessed to be surrounded by these people and have a roof over my head. Let’s all remember to always be kind to one another. Our kindness can change the world. Happy Thanksgiving! John Riley (Social Media Marketing): I’m thankful for my beautiful wife, my health and the wonderful friends and family in my life. Jasmin Saidi-Kuehnert (President & CEO): Though the new year started with the loss of a loved one, my father, it goes without saying that I’m thankful for all life’s goodness, my wonderful husband, my family and friends near and far, and my amazing “work family” here at ACEI. I feel very lucky to be in the company of dedicated and talented individuals who each bring with them their unique skills and life experiences. Alan Saidi (Senior Vice President & COO): I am thankful for all the loved ones in my life, my two beautiful daughters and loving wife and for the beauty which is all around me. My sincere gratitude also goes to my mother and sister and everyone at ACEI. William Thompson (Administrative Assistant): I’m thankful for this year and for working with ACEI which I view as my second family. Thank you and Happy Thanksgiving! We wish you the happiest of Thanksgivings and hope you enjoy this great holiday season! Now, it’s your turn, what are you thankful for? In the recent aftermath of the 7.8 earthquake that has ravaged Nepal with death tolls approximating 5000 and more than 10,000 injured, we would like to dedicate this week’s blog to the people of Nepal by providing links to various relief organizations you wish to contact and offer your help. 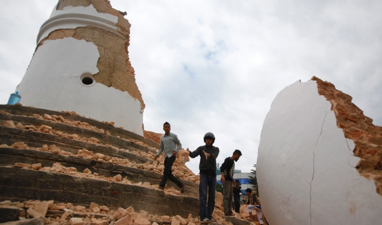 According to the United Nations, more than eight million people have been affected by the massive earthquake. News reports state the international aid agencies are facing huge challenges in distributing the aid to the survivors because of damaged roads and transport network and loss of power in parts of the country. A man walks through the rubble of houses damaged by the earthquake in Bhaktapur near Kathmandu. Please refer to this link http://nyti.ms/1P6W8Uv provided by The New York Times, for a list of organizations you may wish to consider offering your help. CARE – CARE is asking for donations for critical relief. The group said its humanitarian workers were on the ground assessing the situation in Nepal and determining the most immediate needs. 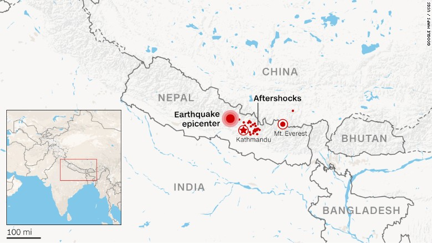 Doctors Without Borders – The organization is sending eight teams of health care providers, including eight surgeons, to assist earthquake victims and distribute supplies. International Medical Corps – The organization’s emergency response team is on the ground in Nepal, trying to provide critically needed medicines and supplies, including hygiene kits and water purification tablets, to survivors. Teams of doctors, nurses and logisticians will try to operate mobile medical units in the hardest-hit areas. SOS Children’s Villages – The organization has been in Nepal since the 1970s and has three “villages” around Katmandu. It has set up an emergency fund to create safe spaces for children and help reunite children separated from their families. 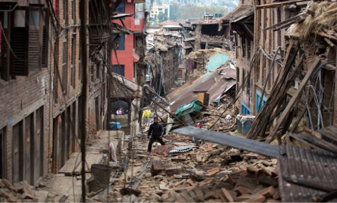 – International Relief Teams has already ordered a shipment of emergency medicines to be airlifted to Nepal, and is asking for donations to send more. Handicap International – Handicap International has been working in Nepal since 2000 and has 47 volunteers on the ground distributing wheelchairs and other mobility aids, and providing help with rehabilitation and logistics. Unicef – The United Nations Children Fund is providing supplies like water purification tablets, hygiene kits, tarps and nutrition supplements for children and families affected by the earthquake, and working with the government and other partners to meet children’s immediate needs. Habitat for Humanity International – The group says its disaster response teams are coordinating efforts with local government agencies and disaster relief partners, and will be assembling emergency shelter kits. Mercy Corps – Mercy Corps has been in Nepal since 2006 and has more than 90 volunteers on the ground trying to distribute water, shelter kits, mosquito netting, tarps, cooking utensils, hygiene materials and other household provisions. - MAP International, a global Christian health organization, will distribute what it calls an “interagency emergency health kit” that will treat 10,000 people for 90 days, and supply a container shipment of medicines and supplies. For general information on the country of Nepal, we highly recommend the Infographic prepared by Work the World, an organization dedicated to providing healthcare internships around the world: http://bit.ly/1bUFGLa. Please check it out and learn more. Our thoughts and prayers are with the people of Nepal. One day in middle school yoga class, something profound happened. During roll call, I noticed a sixth grade student, new to the school, not occupying his yoga mat. Instead, he was hunched down on the floor between two tall filing cabinets. “Are you hurt?” I asked. He shook his head “No,” without looking up. I finished roll call quickly and asked students to assume child’s pose. I walked over to check out the situation. “Are you okay, Jonas?” I asked. The teary-eyed, sanguine child peered up at me and between sniffles said, “No, not really.” I asked him if he wanted to talk about it or if he just needed some time to himself. He nodded yes. The class began. I kept the tone quiet and contemplative. Once everyone was focused and centered, I offered students a few choices of partner yoga postures they were already familiar with and let them know they had 5 minutes to practice together. I checked back in with Jonas. “I’m so sorry. Do you have any idea what is going on with them? “Yeah,’ he said, hugging his knees to his chest, burying his head into his arms, crying. She explained that a group of her friends were calling him names and saying mean things in front of lots of other students. Jonas was aware of our conversation and motioned for me to come over. “That’s one of them,” he said. I asked if he wanted to speak with Kya. He said yes. Kya lowered her head and said she was sorry. It’s important to note here that these students attend a school where they are already accustomed to circle time using the Way of Counsel. This time, we used partner yoga as our framework for unpacking some of the issues at play in this situation, as well as explore solutions. First, students sat back to back with a partner, bringing their attention to their breathing. I instructed students to try and feel their partners’ breathing rhythms and simply to acknowledge the other person as a human being with feelings. I asked students to remember that just because we do not understand a person, that doesn’t mean they are wrong. We can always find something in common with every other human being. Right now, we were focusing on something each and every one of us need: breathe. “Have you ever been involved in bullying at school? Either as the one being bullied, the bully, a stander-by or an ally.” All but one student turned their palms up. Honestly, I am not sure that student understood the question since she had just immigrated from Tibet and was only beginning to learn English. Next question, “Do you feel you have the skills necessary to take a stand for someone being bullied?” Mixed hand. Most students indicated “no.” Some said “yes.” Several said “yes” with one hand and “no” with the other. Now we moved into a standing partner posture wherein students face each other, holding hands. Then, bending their knees, they lean their weight back as if sitting in a chair. This partner pose requires a great deal of trust since students are relying on their partners to hold them up. If one partner lets go, the other will certainly fall. This pose also requires myself as the teacher to fully trust the innate goodness of my students. All of this granted trust, from teacher to student, from peer to peer, creates a tangible, embodied sense of support. Period. NO matter what has happened in the past or what may occur in the future, at that present moment, there exists a classroom of adolescents fully supporting each other; physically, mentally, socially and emotionally. After practicing this partner pose several times; articulating alignment, honing attention to breath, we enter a short, but powerful discussion while still standing. We talk about what it means to support our peers. We talk through several related themes: the nobility of supporting someone even if you don’t actually like them, our shared responsibility for each other’s safety, and the detriments involved with letting someone fall. In adolescence, these questions are intriguing, provocative, right on point with their inherent fears, anxieties and hopes. Perhaps this is one reason we see so many young people trying on the behaviors we call “bully.” Teens want to know where their power lives. The bond and connection this student speaks of is exactly what we need to help forge between adolescents if we want to alleviate bullying. Both the bullies and the bullied and everyone standing by feel alienated, alone, and lack a sense of belonging. 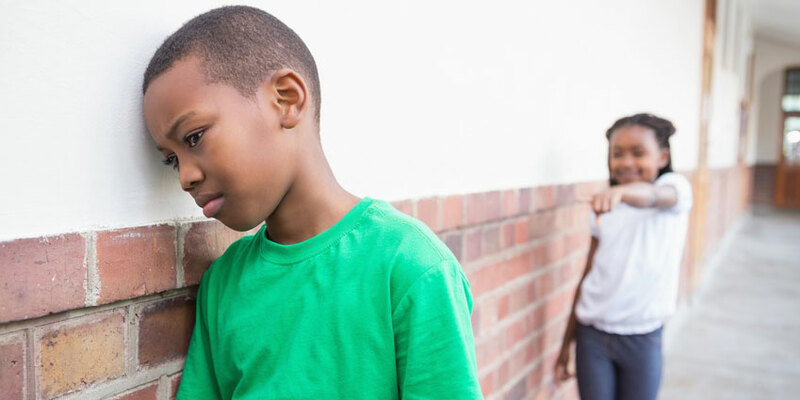 We can talk with teens until we are blue in the face about how ineffective bullying is to create lasting feelings of power and security, or we can give them an embodied experience of connection with their peers. For a limited time, we are accepting registrants for our 500 DVD giveaway. Educators: sign up to receive a complimentary copy of our “Partner Yoga for Teens” curriculum. Click here to register.